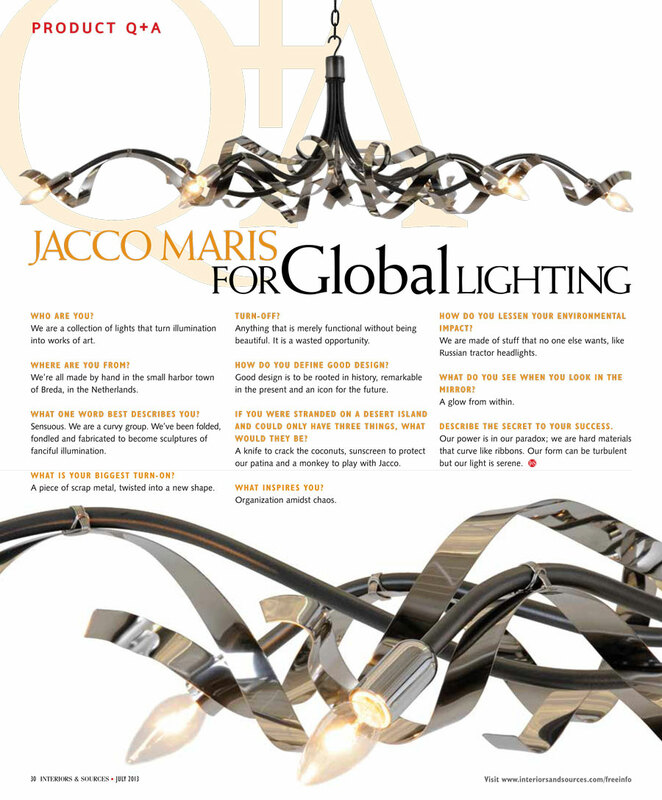 Interiors & Sources talks with designer Jacco Maris, distributed in the US through Global Lighting, and teases out answers to questions like: Describe the secret to your success. Our power is in our paradox; we are hard materials that curve like ribbons. Our form can be turbulent but our light is serene. The collection, which is designed by Jacco Maris and handmade in The Netherlands, consists of five lights made from steel, brass, copper, iron, and sand casted aluminum. The lights are characterized by Maris’s devotion to material before form. Regular forays to the local scrapyard inspire the designer with discoveries of twisted metal, industrial hose and odd fragments. The manipulation of metal strips became the first signature element of Jacco Maris light fixtures. The Ruban Plié, Montone and Ode 1647 are all ribbons of metal manipulated by hand to form sensuous curves. A discovery of 500 salvaged Russian headlights led to the Stand Alone floor lamp. Maris finishes the modern industrial Outsider with powder coating to resist oxidation in exterior installations. Maris’s first light was the Ruban Plié which means “bent ribbon” in French. The Montone is a nest of 1″ wide strips in steel or brass. In both fixtures metal waves are punctuated by light. 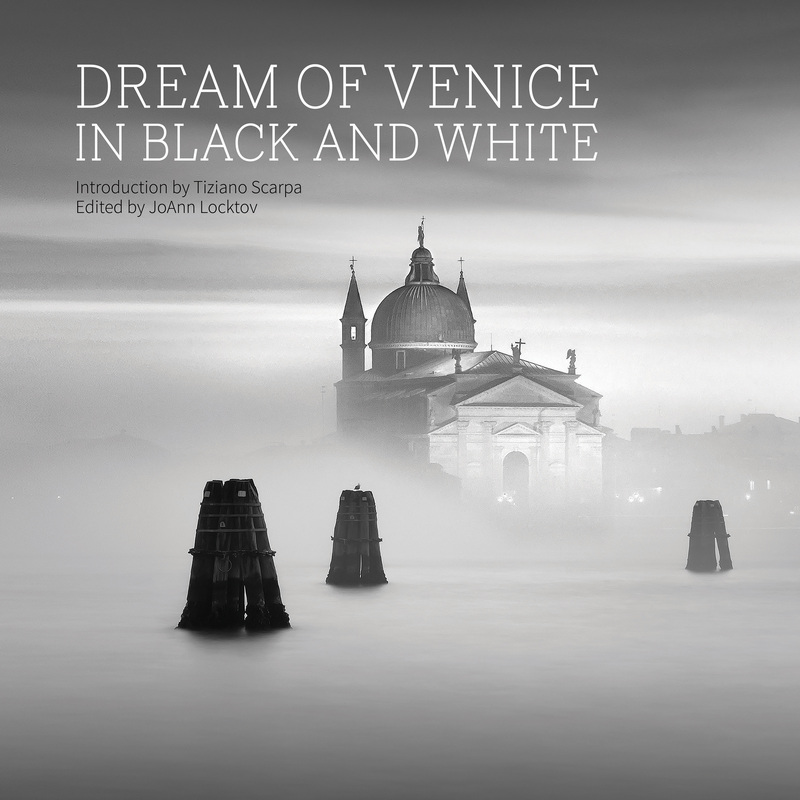 Ode 1647 was created in homage to 17th century chandeliers, using modern material. The armature is silver plated copper mesh, the same high pressure hose found in race cars or elevators. The Outsider and Stand Alone lights exude an industrial spirit, dramatic urban counterpoints to the fluidity of the chandeliers. The lights are UL approved for Canada and the US and available through lighting showrooms.